Pediatric Focused Clinical Examination is a new sub type of question brought forward by National Board Of Examinations in recent Pediatric practical examination under observed OSCE examination. To emphasize importance of this types of observed stations i would like to recollect here that observed stations approximately form 35% of total marks of OSCE, that is around 50 marks out of 150. So awareness of this subtype is very crucial. In case-taking the whole clinical knowledge of subject is tested in prospective aspect in the form of coverage while in OSCE the accuracy of knowledge is tested in the form of depth. Previously observed clinical scenarios used to have a case format given and they use to ask to look for specific system. But focused clinical examination format makes you to apply your knowledge retrospectively and it also checks depth of knowledge in particular topic. Two grossly different formats are asked. you should be able to elicit and show all possible findings of that condition in the given subject in given standard time of 8 minutes. You should start like any other case, starting from general examination and going to systemic examination and simultaneously commenting of what you are doing and for what you are looking for ? Your knowledge and clinical skills , both are assessed. I will explain with example. Greet and obtain consent from parent and explain child. Associated spine and skin examination.- neurocuteneous markers. Tell your findings to examiner. Look skin for pallor/associated skin lesions/–petechiae/janeways lesions/splinter haemorrhages/oslers nodes/clubbing. CVS examination- look for rhythem/murmurs/hyperactive precordium/ position of apex. Palpate all peripheral pulses for presence and equality to r/o thromboembolic phenomenon. This type of scenarios really make you stretch your imaginations and think retrospectively. After getting such type of osce first most importent thing to do is to be cool and do not panic. take 30 sec. And make atleast 3-4 significant possible D/Ds from given information and also keep in mind some non specific or minor D/Ds. Then go on tracing these D/ds retrospectively in case-examination format. Look for specific findings of these possible D/Ds in the examining field. I will explain with example. 1. Examine 3 yr old child with tremors. First 30 sec think possible D/Ds which can have tremors in 3 yr old child. Here are the D/Ds in this case. Vitals- PR /RR-tachypnea in asthama / BP. Skin- for neuro cuteneous markers/signs of liver cell failure. Pattern of breathing- acidotic in metabolic acidosis. 2. Examine 8 year old female child with short stature. First take anthropometric measures or make an attempt to prove it as short stature, also ask for parents height and previous height records. Midline defects like cleft palate, micropenis, single central incisor- Growth hormone deficiency. Signs of vit deficiencies – Malabsorption, Rickets. RS - Pattern of breathing- acidotic in metabolic acidosis. These were some of examples which i brought forward just to give you an idea about approach to focused clinical examination pattern in pediatric OSCE. The crux is you should able to think of all aspects from all systems pertaining to given clinical scenario or question. Here are more questions to make you think. Repeated practice of such types of OSCE will definitely help you in scoring more. 1. 4yr old child is unable to walk. Do the relevant examination. 2. 5 yr old child with recurrent wheezing episodes. 3. 7 year old child with spleenomegaly. 4. 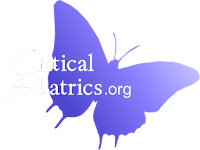 3 year old child with cystic fibrosis. We will come with more of such examples and their answers next time.